The refreshed CALSAGA catalog of training materials are now available for purchase! In July, we announced proposed pricing for the updated training materials. Thank you to the members who provided us with valuable feedback. Our Training Committee and Board of Directors took your input into consideration; please see the revised pricing structure below. All modules include course handbook, test, answer key and instructor’s presentation. CALSAGA Training Materials are only available to purchase by CALSAGA members. To purchase training materials, log in to your CALSAGA account at calsaga.org/login and click on the Training tab. If you need assistance with logging in, contact Kate at KWallace@calsaga.org. 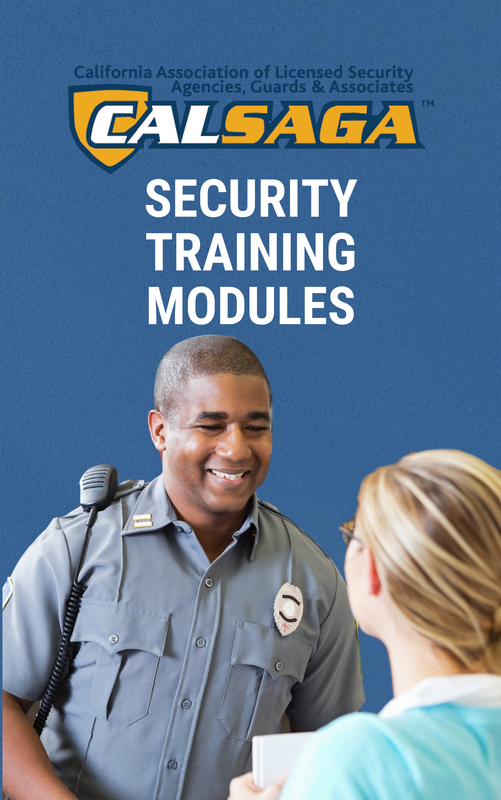 As a reminder, access to the CALSAGA Security Officer Training Database – a compliment to the CALSAGA Training Modules – is included with your membership dues! 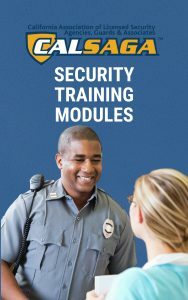 Once you have trained your officers, the database allows you to track their training and to generate BSIS-compliant certificates. Click here to learn more or contact Kate at KWallace@calsaga.org. Have questions about membership? Contact Kris at Kris@calsaga.org.